If you’re looking for a tanning oil that is lighter than a tan but darker than a gradual tanner then this is the product for you. 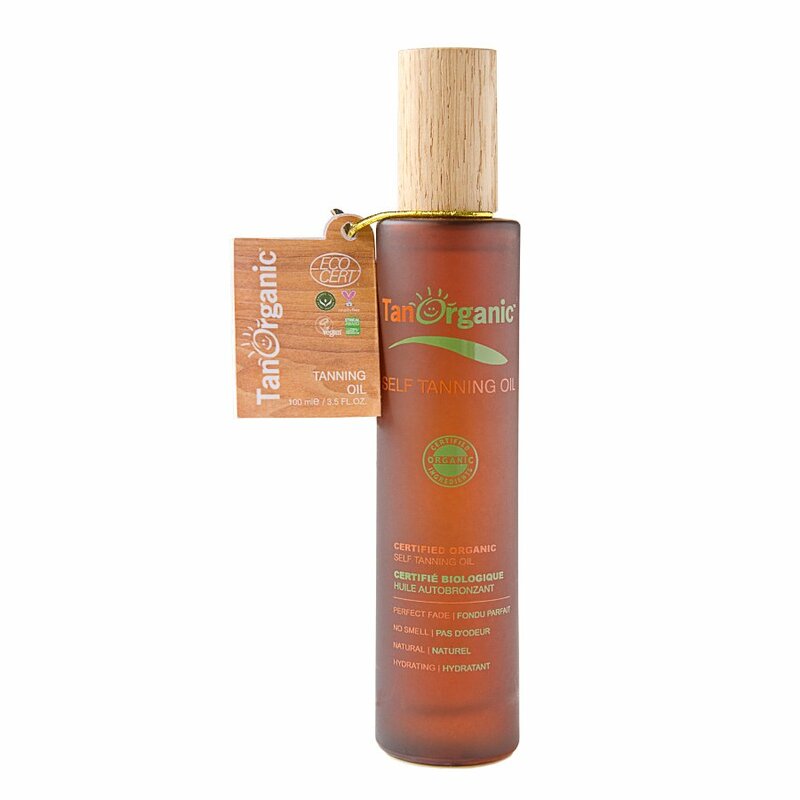 Tan Organic’s Self-Tanning Oil is primarily a moisturising oil with a tan and it quite quickly revitalizes the skin with an attractive luminosity. It provides you with a more natural looking glow and it can be applied without the help of an application mitt. It has a subtle citrus fragrance and contains a blend of plant oils including Borage seed oil, Argan oil and Orange peel oil. Also contains no synthetic colours, preservatives or parabens. Propanediol, Aqua, Aloe Barbadensis Leaf Juice*, Dihydroxyacetone, Alcohol Denat**, Borago Officinalis (Borage) Seed Oil*, Argania Spinosa Kernal Oil*, Citrus Sinesis (Sweet Orange) Peel Oil*, Gluconolactone & Soidium Benzoate & Calcium Gloconate, Cellulose Gum, Decyl Glucoside, Caramel**, D-Limonene. Exfoliate your entire body before applying the tanning oil, paying special attention to trouble areas such as knees, ankles and elbows where skin is drier. Apply a little to the skin as you would any other body oil and massage in. Gloves are not required, the oil will glide better without a glove. Remove any excess by wiping the palms of your hands, fingernails and toenails with a baby wipe. The self tanning oil takes 6-8 hours to develop and if your prefer a darker shade apply another layer. Reapply every 3-4 days for a year round glow. Shake well before use and it is recommended you do a patch test. For external use only. 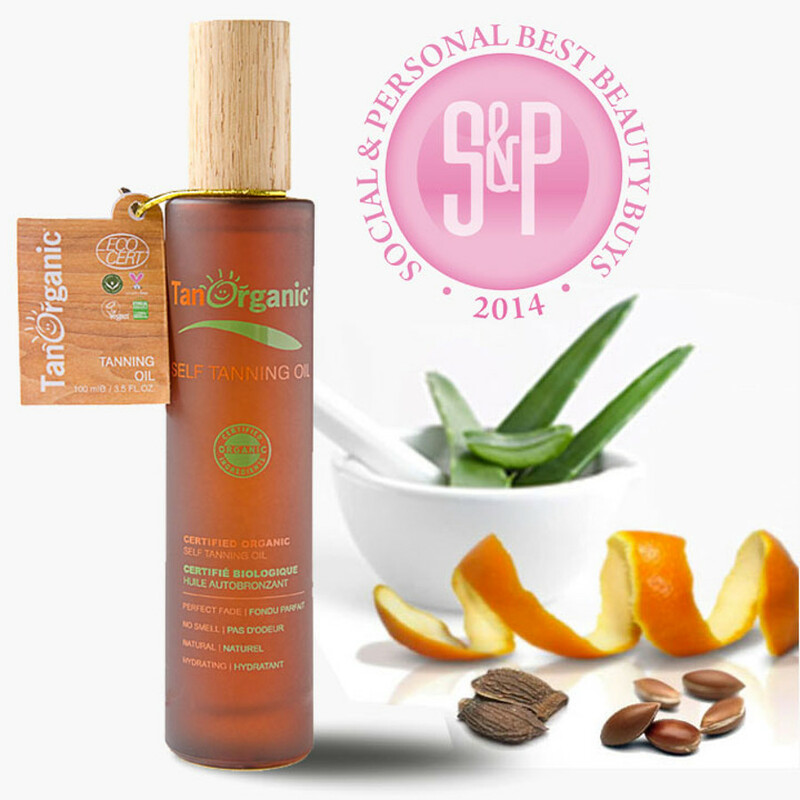 The Tan Organic Self-Tanning Oil - 100g product ethics are indicated below. To learn more about these product ethics and to see related products, follow the links below. Very natural looking tan! Easy to apply. 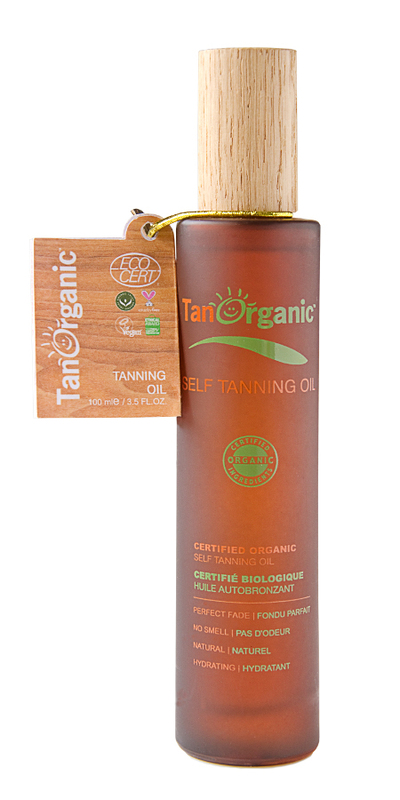 There are currently no questions to display about Tan Organic Self-Tanning Oil - 100g.